(London): Live Wire, 1977. First edition. A4 Stapled sheets. 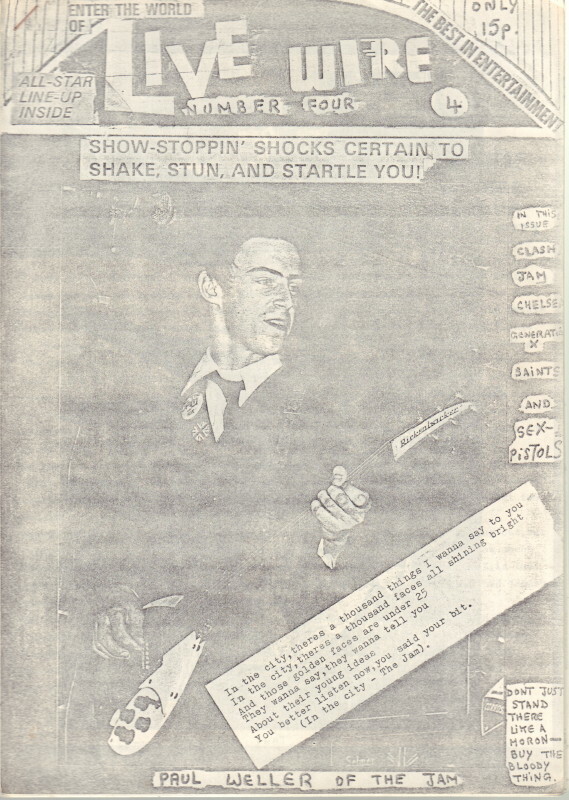 Issue 4 of this, one of the better, punk zines. This issue includes a review of the Pistols gig at the Screen, as well a feature on the Jam, reviews and more. 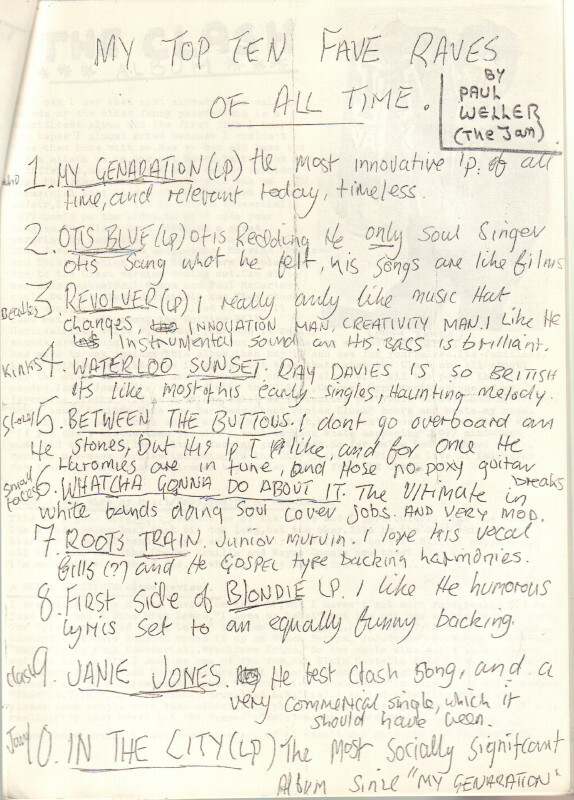 Paul Weller contributes one page in which he lists his top ten tracks, which include “Janie Jones” by The Clash as well as The Who and Blondie. A very good copy.